The vacuum cleaner is an invention that we sometimes take for granted but when you consider how important it is to keep a clean well maintained carpet, it soon becomes apparent that we could not live without hoovers or vacuum cleaners. At first hoovers and vacuum cleaners were an easier way to clean up dirt and dust in order to maintain a clean to the eye appearance. As our understanding of microbes, allergens and sanitation developed we saw the introduction of focused carpet cleaning which was employed to clean and condition a carpet thoroughly rather than just on the surface. If you are looking for the best carpet cleaner Bolton, Wrennalls has been providing high-quality carpet cleaning services in the north for over 30 years. We understand that a carpet is an integral component of your decor and that it needs to be upheld and kept in good standing. Technology and efficiency have come a long way from when the first vacuum cleaners were invented but as the most popular carpet cleaner Bolton, we always look back with interest on the history of carpet cleaning and how it has evolved. 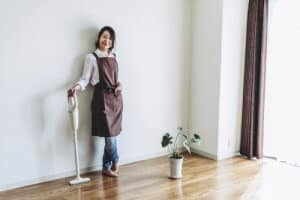 Although the concept of a sweeping brush has been around for hundreds of years, the beginnings of vacuums and carpet cleaning really started in the 1800s during the industrial revolution. At this time factories were mass-producing goods on an enormous scale unseen up until that point. Such intense production and industrial activity resulted in huge amounts of dirt, dust and pollution. 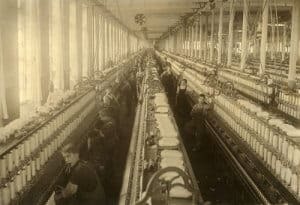 With the mass production and exportation of consumer goods at the time, lots of wealth was being created and factory owners, businessmen and other well-to-do members of society could afford high-end decorations like carpets. At the same time advances in medical knowledge heightened public awareness of germs, the immune system and the importance of sanitation. A combination of this awareness and newly created wealth led to the start of commercial carpet cleaning companies. 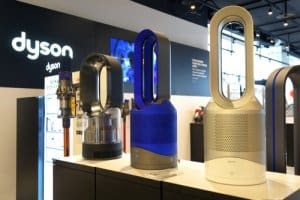 There are many accounts of individuals who contributed to what we know today as the vacuum cleaner but there is one invention that was significant. In 1868, Ives W. McGaffey invented the first manual vacuum cleaner known as the “whirlwind”, a portable device which relied on a hand crank mechanism to generate a suction force. Although a great leap forward, the machine was short lived due to the difficulty of having to push the machine while turning the crank handle and later considered too bulky. These humble beginnings are quite breathtaking when you compare them to the advanced technology we use at Wrennalls and you’ll be glad to know that McGaffey’s Whirlwind is not on our inventory list! As a trusted carpet cleaner Bolton, we employ the latest technology made possible through the initial steps taken by pioneers like Ives W. McGaffey. There were a few developments here and there throughout the remainder of the 19th century that contributed varying refinements to the manual vacuum concept pioneered by McGaffey. In 1901 however, this all changed when London based Hubert Cecil Booth invented the first motorised Vacuum cleaner. Booth had witnessed a demonstration by an American inventor who had manufactured a blowing device designed to blow dust out of train seats and into a bag. Booth adapted this idea by using a mechanical piston engine to create a suction force rather than a blowing one. His invention, known as the “Puffing Billy” was the first suction hoover of its kind. The Puffing Billy was by no means portable and it would be taken around the streets of London on a horse-drawn carriage with a team of five engineers to operate it. When a homeowner opted to procure Booth’s services, Puffing Billy would stay on the street while multiple suction hoses would be fed through the windows. Unfortunately, this was still a long way off the standards of a modern vacuum cleaner as it only removed surface dirt. Although was a good start it wasn’t quite as powerful as what a vacuum cleaner would become. Booth’s machine was only available to the wealthy in London and was too impractical to be transported to other locations like the north of England. Luckily, if you are searching for a carpet cleaner Bolton then Wrennalls will provide a fast estimate for your job and a service that will clean, condition and dry your carpets leaving them in fantastic condition. Little more than a few years from when Booth had patented the Puffing Billy, an American janitor named James Spangler invented what would be seen as the first electric vacuum cleaner. After discovering that he was allergic to dust, Spangler began experimenting with using an electric fan to create suction which would then draw dust into a pillowcase. He fitted his invention into a soapbox which was then pushed around by a broom handle. Spangler eventually sold the rights to his invention to dust sweeper manufacturer William Hoover, and the two worked on improving the design of Spangler’s cleaner. By 1920s the ‘Hoover Vacuum’ was a hit in domestic houses across the US with many being imported and copied across Europe. Little by little, ingenuity and ambition kept improving the vacuum making it more and more efficient. Even with the massive breakthroughs in cleanliness and dust uptake, the vacuum is still only capable of cleaning dirt and dust. To get rid of stubborn stains and maintain a carpet’s health you need professional carpet cleaning as opposed to vacuuming. Wrennalls is known as the go-to carpet cleaner Bolton and has an expert team ready provide tailor-made cleaning packages personalised to your commercial space. Do You Need A Carpet Cleaner In Bolton? Wrennalls carpet, fabric and floor care specialists have been offering a nationwide service for over 30 years. Our commitment to pioneering the use of new cleaning technology and always striving for perfection has earned us a reputation as the best carpet cleaner Bolton. If you are searching for a carpet cleaner Bolton, give Wrennalls a call on 01204 895 998 or get a free quote from our website today!